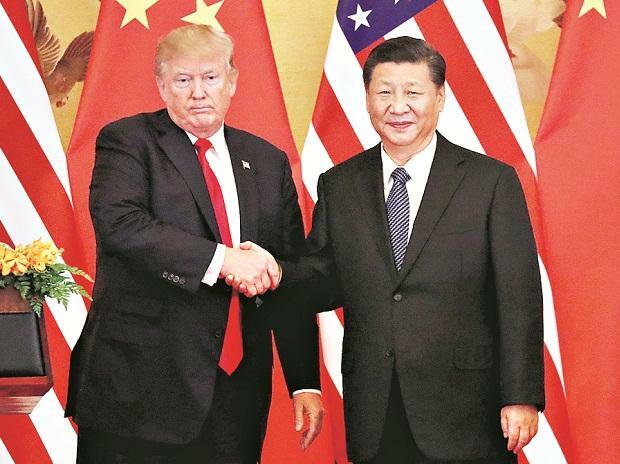 The relationship between US and China is at a "critically important" stage and an early trade agreement between the two would send a "positive signal" to their peoples and the broader international community, Chinese President Xi Jinping said in a letter to President Donald Trump. The talks come as the March 1 deadline of the 90-day truce on US-China trade tariffs inches closer. Right now, China-US relations are at a critically important stage, Xi said in letter which was read out by a member of the Chinese delegation during their meeting with Trump in his Oval Office on Thursday. The meeting is part of the decision that Trump and his Chinese counterpart Jinping had taken during their dinner meeting at Buenos Aires in Argentina on the sidelines of the G-20 Summit on December 1, 2018 to pause their trade war and negotiate an agreement in 90 days. That was followed by the good conversation we had through a phone call and the letters of congratulations we sent each other on the 40th anniversary of our diplomatic relations, wrote the Chinese president. He said economic teams of both the countries were engaged in intensive consultations and have made good progress. "I hope our two sides will continue to act in a spirit of mutual respect and win-win cooperation, and step up consultations by meeting each other halfway in order to reach an early agreement that works for the interests of both sides, he said. Such an agreement will send a positive signal to our two peoples and the broader international community. It will serve to ensure healthy development of China-US relations and contribute to steady growth of the world economy, Xi wrote. Referring to their last telephonic conversation, Xi said Trump had wanted China to buy more agricultural products. I have made some arrangements about which, I believe, you might have been briefed, he said. As I often say, I feel we have known each other for a long time, ever since we first met. I cherish the good working relations and personal friendship with you. I enjoy our meetings and phone calls in which we could talk about anything. It falls to us to work together and accomplish things meaningful for the people of our two countries and the world at large, Xi wrote. That's a beautiful letter and we appreciate it," Trump told the visiting Chinese delegation led by Vice Premier Liu He. In his remarks, Liu said Xi attaches tremendous importance to the personal friendship with Trump. And over the past two years, since you (Trump) took office, you have made tremendous accomplishment on both the domestic and diplomatic front, said the Chinese leader. Thanks to your policies of tax reduction and deregulation, your US economy, as I heard from my American colleagues over there, has now been enjoying high growth and low employment with unprecedented prosperity. And it is because of your decisive decision that has directly facilitated the major breakthrough -- the relationship between the US and the DPRK (North Korea), he said. Under the strategic guidance of the two leaders, Liu said it is possible that China and the US will have the possibility of striking a successful deal on trade. The two countries have been working conscientiously and the discussions are going well. We have achieved a lot of important consensus towards the direction of striking a comprehensive deal, which is to be ultimately reached between you and President Xi, he said.